What is God’s heart in this? What does this situation, or the remedy to this situation, reveal about the Father? What is God saying? What is He declaring about Himself? 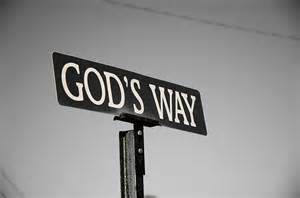 Knowing God’s ways is the same as knowing God, and it is one step deeper than knowing “about” God. We need to know His ways so that we won’t be bowled over and crushed by circumstances that bring us pain. We should always be conscious of what the father will want us to know by making us pass through the circumstance we are in presently, because God teaches us to know Him through our every day situation, do not be in a haste when you pass through that situation, learn through it. Ask: Father, what must i know/learn through this circumstance, you will be surprised how much Holy Spirit can reveal!